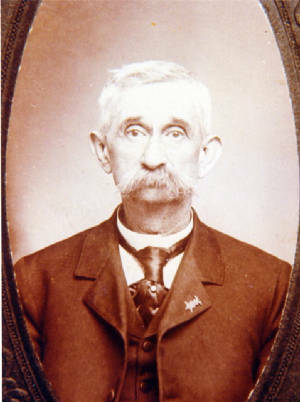 George entered the Massachusetts 21st Infantry Regiment in 1861 as a clerk but was assigned duty as a nurse. He contracted dysentery and was left behind at the hospital in Falmouth, Virginia, when the Army of the Potomac moved south in the spring of 1862. He was transferred to Finley General Hospital in Washington, D.C. where he stayed for a month. He was declared unfit for duty and discharged in October 1862. George and Tryphena Sanderson had been engaged before he entered the service. His behavior was not acceptable for the Sanderson family and it was hoped that Tryphena would cease feeling any affection for him. 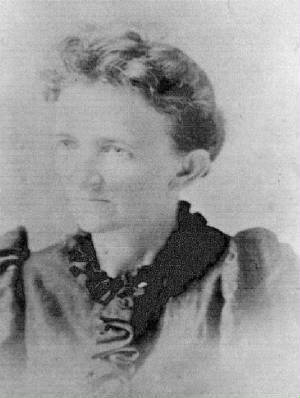 Aunt Mary Sanderson wrote to the colonel in charge of George's company (Co. H, 21st Reg., MA Inf.) asking that he or Captain Cook of Company H observe how George "deports himself" as his behavior had not been all that it could be. George's behavior must have improved as he and Tryphena J. Sanderson were married 12/3/1862. The Sanderson family ancestor, Robert Sanderson, had come from England and arrived in Boston about 1637, He married Mary Cross about 1640. The family moved around a good bit as the record shows that Robert's son, William, was born in New Hampshire. William's son, Joseph was born in Watertown, MA, and married Bethia Kemp. Their son Joseph, was born 8/30/1714, Groton, MA and died 3/20/1772 in Whately, MA. He married in 1737 Ruth Parker, daughter of Isaac Parker. Their son Isaac, 10/1757-2/10/1849, married Submit Montague who was born 5/3/1762 in Sunderland, MA, and died in 1793 in Whately, MA. Isaac and Submit's son, Stephen, 1/18/1782-5/31/1823, Conway, MA, married 8/29/1806 Polixana Childs, 1/2/1783-3/28/1847, Conway, MA.